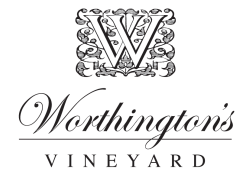 Worthington's Vineyard located on 25 private acres in the heart of the Hunter Valley, Pokolbin. Surrounded by Shiraz and Semillon vines. We will take the stress out of organising your elopement, small wedding or commitment ceremony and provide you with a private, unique, bespoke experience for your special day. All you have to do is turn up on the day, and enjoy! Everything is organised for you, no matter where you live in Australia or overseas. Picturesque romantic private vineyard venue at Worthington's Vineyard in the Beautiful Hunter Valley. Professional Hunter Valley Celebrant, with all the legal documents supplied and lodged. 2 witnesses provided, if required. Elegant signing table and 2 chairs. 2 hours professional photographer to capture your special day, including printed quality photos on USB. Glass of sparkling wine on toast. 1 night luxury accommodation stay at Casa la Vina.